Hillmer, Norman. "Lord Stanley". The Canadian Encyclopedia, 28 May 2018, Historica Canada. 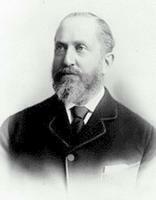 https://www.thecanadianencyclopedia.ca/en/article/frederick-arthur-stanley-baron-stanley-of-preston-16th-earl-of-derby. Accessed 18 April 2019. 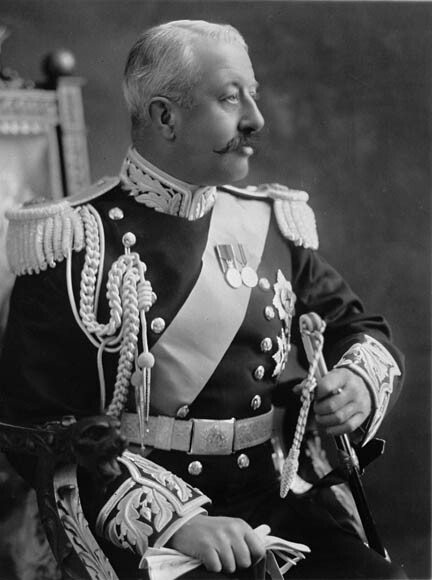 Frederick Arthur Stanley, Baron Stanley of Preston, 16th Earl of Derby, governor general of Canada 1888–93 (born 15 January 1841 in London, England; died 14 June 1908 in Holwood, England). He is primarily remembered for his donation in 1892 of the Stanley Cup. Stanley's sons' interest in sports prompted him to provide a trophy and medal for curling, and a cup for hockey, which was eventually called the Stanley Cup, the oldest trophy competed for by professional athletes in North America (courtesy National Archives of Canada/C-22832). Frederick Arthur Stanley, Baron Stanley of Preston, 16th Earl of Derby, governor general of Canada 1888–93 (born 15 January 1841 in London, England; died 14 June 1908 in Holwood, England). His father, Edward Smith Stanley, the 14th Early of Derby, was three times British Prime Minister, and Stanley himself was a Member of Parliament 1865–86, and then sat in the House of Lords. He held several positions in government, including civil lord of the Admiralty, secretary of state for war, and secretary of state for the colonies. Although a strong advocate of closer ties between Great Britain and dominions such as Canada, he was a publicly shy and politically careful governor general. He is primarily remembered for his donation in 1892 of the Stanley Cup, designed to determine a Canadian hockey champion in a fair and uniform manner. Biography of Lord Stanley in the Dictionary of Canadian Biography.